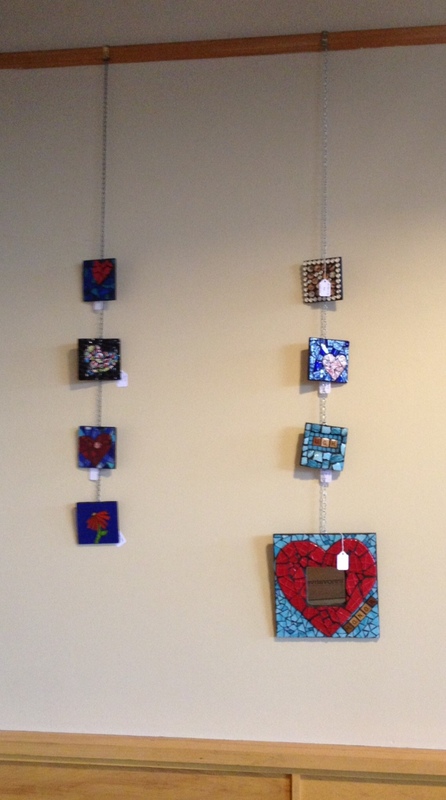 Mosaic Art Showing at The Egg and I! There’s something pretty cool in the air these days–the Universe keeps sending awesome opportunities and people my way! I had forgotten that I had indicated that I was interested in showing my art at a local breakfast hot spot late last year and on Friday I got the call that they wanted my art for the month of July if I could manage it! So….I pulled out my art and went gleefully to hang it on their art wall! 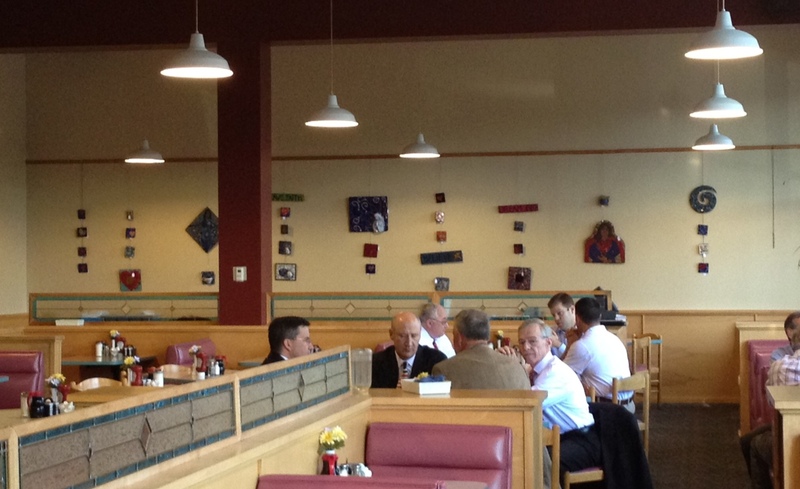 The restaurant is The Egg & I in St. Paul (not Uptown) and my art will be there through the end of July! All of the pieces are available for purchase, are reasonably priced and you can get an incredible breakfast from 6 AM to 2 PM most days of the week. Their Kamikaze pancakes are fantastic…as is the Denver Sandwich (think Denver omelet on super yummy wheat toast). If you stop in, ask to sit with Andrea or Able and tell them that Rachel sent you. I adore both of them and they will most definitely take care of you! I hope you can stop by to check it out! This entry was posted in Mosaic Musings, What's Happening and tagged art show, egg & I, mosaic, st paul. Bookmark the permalink. 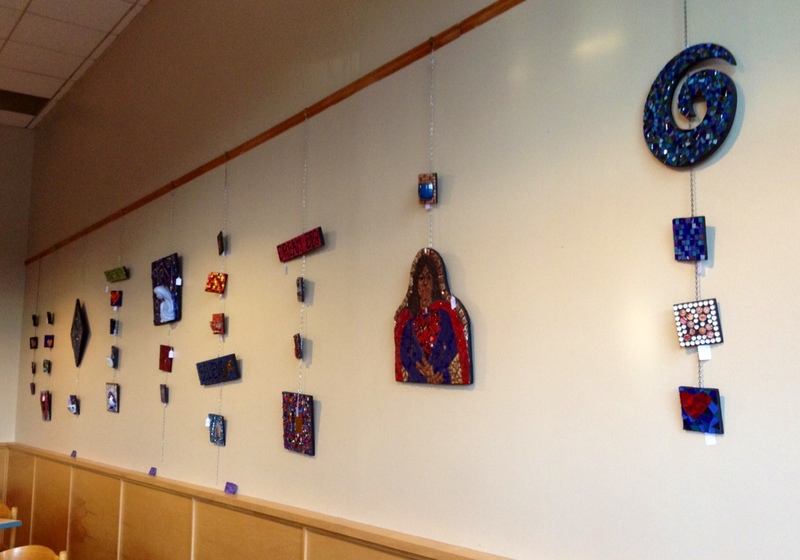 2 Responses to Mosaic Art Showing at The Egg and I!